[RADIO PODCAST] Check out the radio interview with Kelly Barner of Buyer’s Meeting Point. Triathlon and training have become somewhat of a compulsion for Ed. Others might call it an all consuming passion. It all started 8 years ago as a means to get fit and stay healthy – having not competed since school in athletics; “it started as a goal to encourage me to stay fit and eat and drink sensibly”. It has culminated in Ed racing IronMan triathlon’s across Europe and a growing ambition to represent GB at Age Group level, and the opportunity to be coached by a professional Ironman Triathlete – Harry Wiltshire. Give a man a fish and he will eat for a day Teach a man to fish and he will eat for a lifetime But teach a man to learn and he can do anything! The brain is like a muscle, the more you work it the stronger it will become, this is an interesting analogy given our respective sporting pursuits. For Anya lifting heavy weights is not just about pure strength as technique plays a key role. For Ed, swimming was not his discipline – in fact he cannot float – this initially stopped him thinking (!) about triathlon racing – because he did not believe he could master swimming. This was not a physical limitation, instead a mental / mindset issue on his part. It was overcome by using his brain, deciding that he could learn to swim well, and persevering with the help of others at a local swim club and ultimately with Harry Wiltshire. Procurement involvement and interference with the decisions of stakeholders is not always welcomed, to say the least. 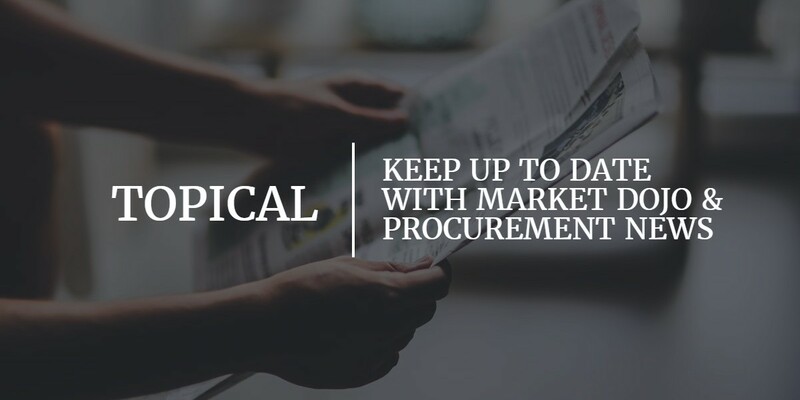 Often misunderstood, and sometimes seen as a function which slows down action, many stakeholders are not greatly supportive of the procurement team getting involved in their spend. This has a range of reasons, which we won’t go into here. Across the last 30 years in procurement Ed has seen the good and bad of procurement’s relationship with stakeholders inside and outside the organisation. The common change management thread to securing involvement in stakeholder programmes is ‘not giving up’, simply to keep knocking at the door, and showing the stakeholder that you are persistent And at the same time looking for different angles to showing that procurement value can be brought to bear – perseverance will bring results. Target setting in procurement – if you really have to get the money…what would you do…. It seems this determination coupled with the openness to learn from failure – drove Dyson to work for 5 years building 5127 prototypes of what became the World’s leading (cyclonic) Vacuum cleaner. He is now estimated to be worth £3bn personally. “Olympic champion Alistair Brownlee says brother Jonathan threw away the world triathlon title by being a “complete tactical numpty” during his battle with Spain’s Javier Gomez at the Grand Final in London. After warming up, I loaded the bar with a 5kg weight on either side to do my initial drills moving from 30kg – 55kg. I tripled 55kg and stood there for a minute to recover and thought about this article and how I could stop at 55kg, my comfort zone, or I could embrace the positive mindset I was in and aim for more. So I did. I loaded 60kg on to the bar and cleaned it with ease. Why stop there? I loaded a further 5 kg and cleaned 65kg for the first time in a LONG time. And it felt great. I wasn’t back to my peak, but I lifted a lot more than I had in a long time. And why? Because my effort and attitude determine everything. “Ed, like a number of high achievers I have worked with was fixated with measuring his improvement as an athlete. After the race in Turkey he asked me if he was capable of being faster; he said he did not want to do something if he wasn’t going to be good at it. I have found people who are successful in their field are often scared of exposing themselves to new situations where they risk being less successful.